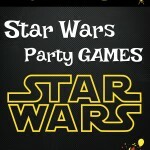 Many of the child birthday party games on this page have been graciously submitted by visitors like yourself. If you’ve got any cool ideas to add just scroll to the bottom of the page and share them with us, Thanks! You don’t need to be Armani for this. A few cheap clothes and accessories from the local Goodwill will be more than enough. Just wash ’em and have the kids get dressed up. Then put some hip music, and have them strut down the runway as you announce their luxurious attire. Polaroid or digital photos again are a must! Separate the kids into groups and have them race with a teaspoon full of sugar or tea – in their mouth – until they fill a teacup. Fill a few teacups to the brim and have the kids race back and forth with the trays held up high in one hand. To be real ladies and gentlemen, one must have straight posture. Let the kids try balancing lightweight books on their heads… it will improve their posture and be a ton of laughs! Since it is a tea party, it’s okay to eat with fingers. However, if an item is particularly messy (has a runny filling), then use a fork. Explain that they should take teeny bites from the tiny sandwiches and not stuff the whole thing in their mouth, even though it’s small. When drinking the tea, they can hold the cup and saucer near their chest and then take the teacup off the saucer and bring it up to their mouth to drink. Always say thank you when served something. Explain that it’s okay to put your elbows on the table if you’re not actually eating. But, if you’re eating, then only rest the forearms on the table. One doesn’t want to be hunched over their food. Right? And now let’s all sing: “I’m a little teapot, Short and stout. Here is my handle, Here is my spout. When I get all steamed up – Then I shout, Just tip me over and- Pour me out”!! !